This incisive intellectual history of Japanese social science from the 1890s to the present day considers the various forms of modernity that the processes of "development" or "rationalization" have engendered and the role social scientists have played in their emergence. Andrew E. Barshay argues that Japan, together with Germany and pre-revolutionary Russia, represented forms of developmental alienation from the Atlantic Rim symptomatic of late-emerging empires. Neither members nor colonies of the Atlantic Rim, these were independent national societies whose cultural self-image was nevertheless marked by a sense of difference. Barshay presents a historical overview of major Japanese trends and treats two of the most powerful streams of Japanese social science, one associated with Marxism, the other with Modernism (kindaishugi), whose most representative figure is the late Maruyama Masao. 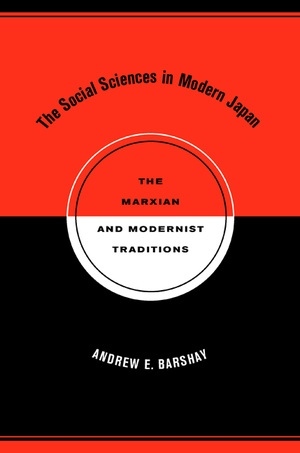 Demonstrating that a sense of developmental alienation shaped the thinking of social scientists in both streams, the author argues that they provided Japanese social science with moments of shared self-understanding. Andrew E. Barshay is Professor of History at the University of California, Berkeley. He is the author of State and Intellectual in Imperial Japan: The Public Man in Crisis (California, 1988).